The fair-trade premium, Spaull said, allows cotton farmers to channel additional funds into democratically voted community projects that matter most to them, such as education, healthcare, or infrastructure. 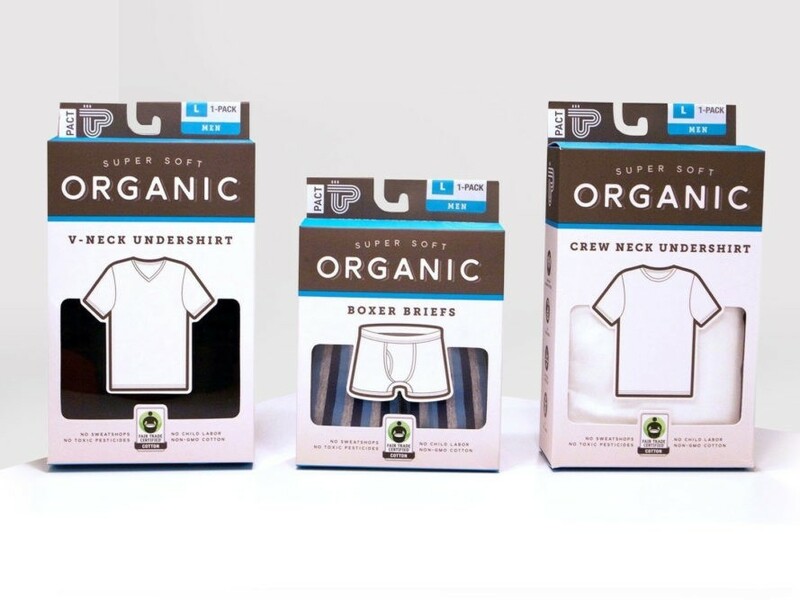 Undershirts and boxer briefs will start at $12.99 (compared with $24.99 at www.wearpact.com) while crew socks will retail at $9.99. Plus, early adopters can snag a “buy one, get one free” coupon at www.wearpact.com/coupon. No pesticides, no child or forced labor, and sustainable livelihoods for smallholder farmers and workers. For dads who give a damn, consider your Father’s Day shopping done and done. 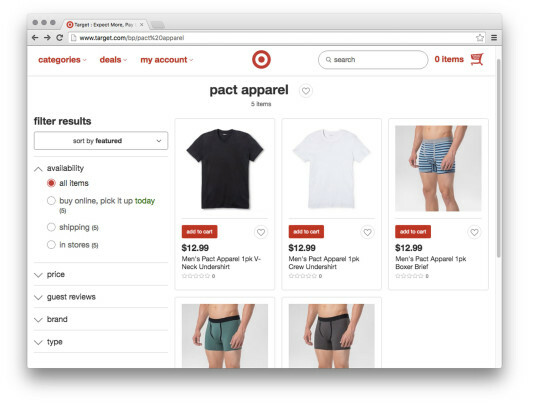 Sustainable apparel at Target? Your eyes don't deceive you. America's second-largest discount retailer�after Walmart, of course�has inked a deal with PACT to launch a line of ethical basics at 460 Target locations nationwide. Manufactured using Global Organic Textile Standard�certified cotton from a farmer cooperative in India, the collection of men's crew- and V-neck undershirts, boxer briefs, and socks will be Target's first to feature Fair Trade U.S.A.�s seal of approval. "We are so proud to partner with PACT to not only improve the lives of the cotton farmers, but also to empower consumers to support these efforts through their purchases," Maya Spaull, director of innovation at Fair Trade U.S.A., the leading third-party certifier of fair-trade products in the United States, said in a statement. "By offering premium basics made with Fair Trade Certified cotton, PACT is proving that quality, business, and ethics go hand in hand."